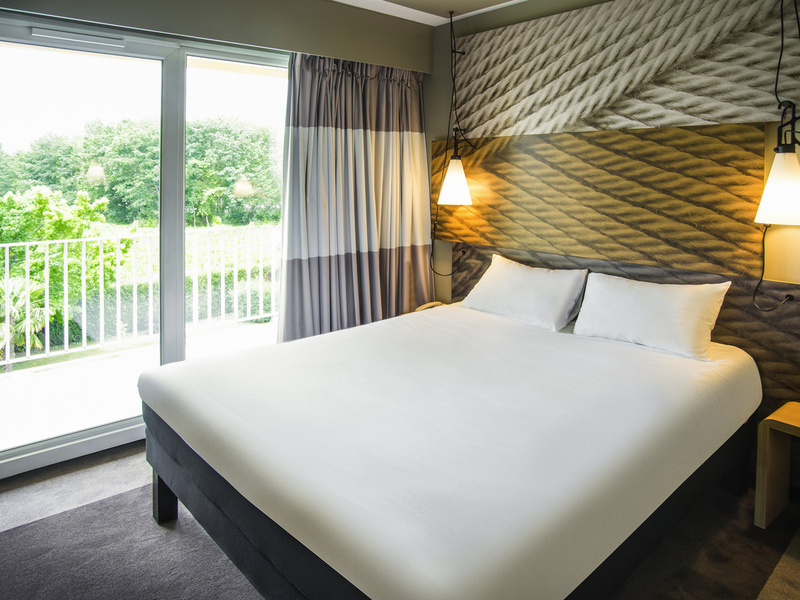 The ibis Tarbes Odos hotel is ideally located between the center of Tarbes and the international airport. It is close to the conference center and the main attractions in the Pyrenees, including Gavarnie, Cauterets and the Grotte de Lourdes caves Enjoy the thermal baths in Bagnères-de-Bigorre and the Tourmalet-La Mongie ski resort. Tarbes is home to the Maurice Trelut stadium, the Petits As junior tennis tournament and the Tango, Equestria, Jazz in Marciac and Rockabilly festivals. The staff are incredibly friendly. Not a complaint. Overall the service was extremely good but to stay for two months i feel they can add a little veriety to the breakfast in the mornings ! Everything went smoothly. There were no problems and we were pleased to have stayed. First time we had stayed at this ibis. Looked a little shabby from outside, but inside was very nice. Typical ibis decor. We were asked if we had stayed before as our room ha£not been allocated yet. Not sure if that was the reason we had a room with no balcony. Our room was ok very clean, but our bathroom was like a time capsule, so small, we could not even put our toiletries out. Shower was good though and all very clean. Nice view of the gardens and fields beyond. Dinner was just ok, hardly any choice. I had a salad and my husband the burger. I ordered some fries to go with mine but was told they didn’t do fries, no alternative was given. When offered dessert was told there was no ice cream only sorbet and then was told well there are a couple of other choices. Breakfast was very limited. This ibis does have a swimming pool and nice grounds and if you had a balcony room it would be nicer. Because of the dining, dont think we would stay here again. we were welcomed in a most friendly fashion, nothing was too much trouble and we had the room of our choice and the evening meal on the terrace was superb. Everything was fine. The room, the service and the food was all that we could have wished for. A very comfortable hotel with a great breakfast, very close to city center. Good food, friendly staff. My only complaint is that the beds are a bit too narrow ( I am 189cm and 95kg). Friendly staff, clean and modern hotel, comfortable bed. Getting a drink at the bar involved a lengthy wait and getting chilled white wine for the evening meal was a problem (again). The meal was also not as good as on earlier visits. All else was OK.